A government proposal to make English an official language in Taiwan has been greeted mostly with skepticism by experts in the field, as some of them are concerned that such a move would only put more strain on students and may not even help achieve the intended goal of boosting Taiwan's global competitiveness. Instead, the government should take a more structured approach and carry out a comprehensive study to determine why the current English language teaching curriculum in Taiwan is ineffective, some university professors suggested in interviews with CNA. "I guess maybe the government thinks we have tried everything we could to improve English education, so now let's do what Singapore did and our English will get better," said Karen Steffen Chung, an associate professor at National Taiwan University's Department of Foreign Languages and Literatures. "However, you can't improve English-language learning by changing the law," said Chung, adding that she is strongly opposed to the government's proposal. 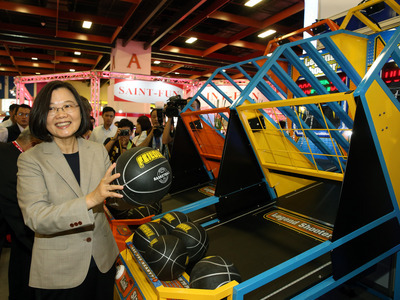 The drive to list English as an official second language in Taiwan is being spearheaded by Premier Lai Ching-te (賴清德), who recently issued a directive for the Ministry of Education (MOE) to set up a feasibility study committee to work toward that goal. The initiative is a follow-up to a project that he launched in Tainan in 2015, during his tenure as city mayor, to make English an official language in the city by 2025. His view is that in an increasingly globalized world, making English an official language would give the city and the country as a whole a competitive edge. 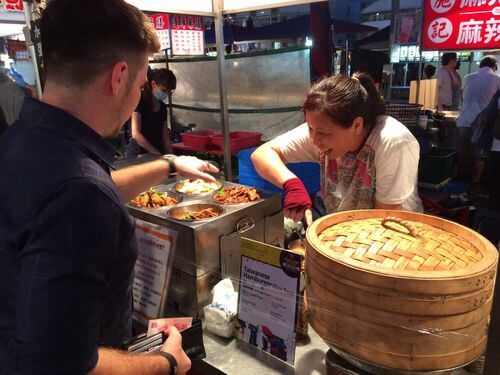 "If Tainan could be like Hong Kong and Singapore, where most people speak English, it would be a city that is competitive," Lai said in 2013 when he was Tainan Mayor. Another expert who disagrees with Lai's nationwide initiative is Chang Wu-chang (張武昌), a professor at Ming Chuan University's Department of Applied English. He thinks the government should concentrate on improving the current English-language learning environment and expand it to rural and remote communities. Chang, who is also in charge of the English Curriculum in the education ministry's K-12 system, said there is already a big English proficiency gap between rural and urban school children due to an inequitable allocation of English teaching resources nationwide. "Making English an official language will only widen the already huge gap as underprivileged school children will still be unable to receive a proper education," he said. 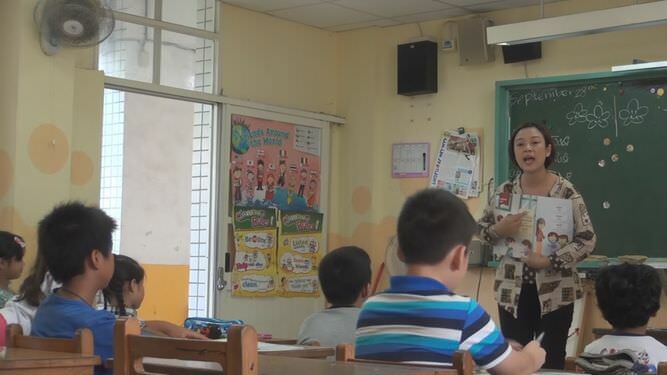 Furthermore, with the government now pushing for other language courses at the elementary school level, it will be too much of a strain on young students, Chang said, pointing out that Southeast Asian and Taiwan indigenous languages will soon be introduced into the K-6 curriculum. "Making English an official language will exhaust our children in an already dense language-learning curriculum," Chang said. As for the example of Singapore as a success story in the adoption of English as an official language, Chang said it was a vastly different situation there. When Singapore took that step in 1965, there were cultural and political factors at play, he said. Singapore was trying to find a common language to unite its major ethnic groups -- the Chinese, Indians and Malays, Chang said. "Do we in Taiwan need a foreign language to do that?" he said. 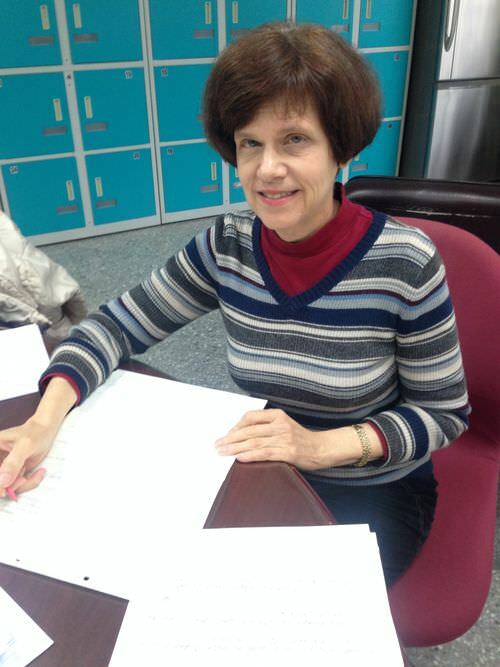 Chang Shang-kuan (張上冠), a professor at Soochow University's Department of English Language and Literature, expressed a similar view, saying that very few countries in the world would list English as an official language unless there was some historical or cultural background to justify that decision. "There is no historical reason for Taiwan to do that," he said. The Soochow University professor also said it is debatable whether making English an official language will in fact help Taiwan become more competitive on the global stage and forge closer links with the international community, as the government is anticipating. In the European Union, for instance, only the United Kingdom, Ireland and Malta have listed English as an official language, he said. Taiwan would be better served by promoting a range of foreign languages, including French, Spanish, German and Japanese, Chang Shang-kuan said. All three professors who argued against the proposal agreed that the government must continue to promote English-language education in Taiwan but in doing so, it should examine, by means of a study, why the current approach is not working well. They suggested that one of the reasons might be that English-language classes are geared more toward preparing students for standardized tests, such as the Test of English as a Foreign Language, than toward improving everyday use. While Chen Chao-ming (陳超明), chair professor of English and Creative Industries at Shih Chien University, agrees that the decades-old approach to English-language learning in Taiwan needs to be reformed, he thinks that the government initiative offers precisely such an opportunity. "We've been implementing English education for more than 50 years," he said. "But what's the outcome? Has anything changed? This policy can be seen as a strategy to change people's mindset." What is needed, Chen said, is for people to use the language more widely. "The problem is that we still see English as a kind of subject instead of as a communication tool," he said. "You have to use English as a tool. In so doing, English will become part of daily life." To achieve this goal, the government has to start somewhere, even if it takes decades, said Chen, who is also president of Taiwan's Global Education Association, a local NGO that promotes English education. He said the government needs to build a bilingual learning environment, starting at the elementary school level. In Malaysia, for example, students learn social sciences in their native language, while other subjects such as computer science are taught in English, Chen said. "English, therefore, is not a subject but rather a tool for learning other skills and becomes part of daily life," he said. Chen suggested that in the wider society, English should also be incorporated into the everyday environment. 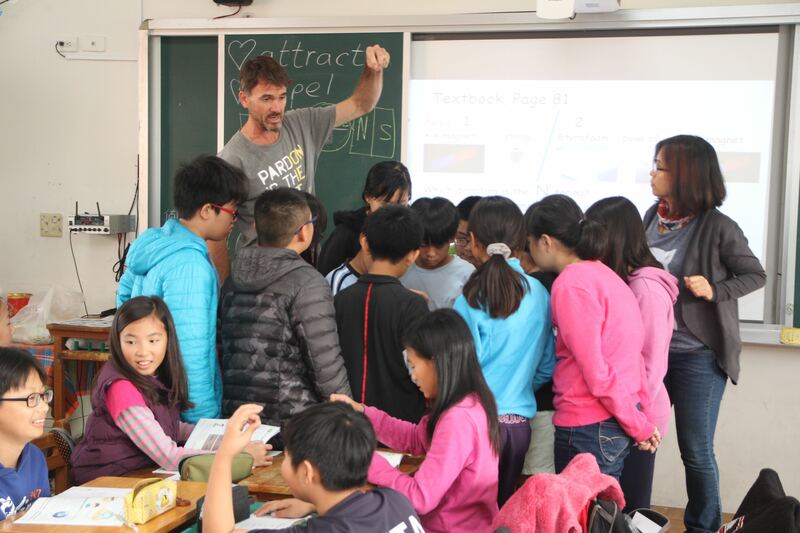 "Bilingual websites, consistent English road signs, and English TV channels are essential for foreigners living in Taiwan, and for Taiwan to have its voice heard internationally," he said. The goal of the government initiative to make English an official language is not to have every Taiwanese speaking fluent English but to ensure that everyone in Taiwan can speak at least some English, Chen said. 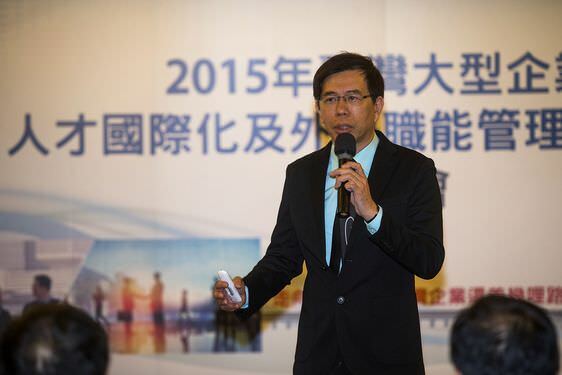 "We won't be asking that all Taiwanese have the same level of English proficiency," he said. "What is important is communication." But even if it is found to be an advantageous move to adopt English as an official language in Taiwan, there is also the question of how much it will cost in practical terms, according to Chang Wu-chang. "It took 50 years and endless money to turn Singapore into an English speaking community," he said. "Are we willing to pay that price?" ●Taiwan mulling English as an official language, but is it ready?